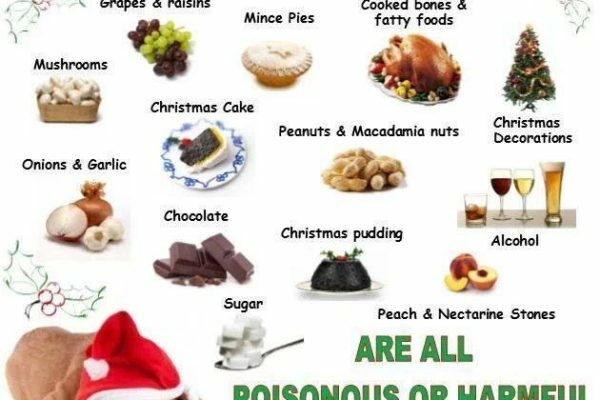 The holidays are upon us and that means it’s time to embark in some culinary delight, but take caution. 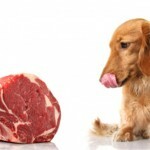 While these treats may be delectable for you, some can be dangerous for your dog! 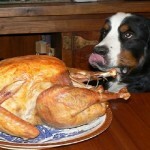 Keeping your dog away from these common holiday foods will help keep your pet safe and keep you out of the Vet’s office. this may be common knowledge for most pet owners, but in case you didn’t know, chocolate contains ingredients known as theobromine and theophylline. 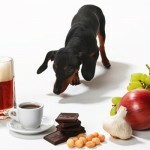 Both of which can be fatal for dogs and the caffeine content is a definite no-no as well. another “no- brainer” but an important one. Not only do dogsweigh less than humans on average, they are also prone to liver damage from ingesting alcohol. Liver failure is fatal so be sure to keep the spirits away from Fido! the cooking process causes bones to dehydrate and become brittle. This may cause splintering or puncturing in the stomach or intestines. Keep your cooking areas clean and free of bones. 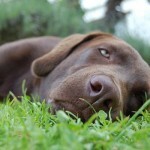 various types of nuts are high in fat and may cause pancreatitis which can be very painful and dangerous for your pet. Nuts can also complicate digestion and could cause intestinal obstructions. although the exact toxin is unknown, both are believed to be the culprit of sudden kidney failure in dogs. Fruit Trays and desserts containing grapes and raisins should be kept out of reach of your pet at all times. this spice is commonly found in pumpkin pies, sweet potato casseroles and other yummy dishes. But nutmeg can cause seizures, tremors and a variety of complications related to the central nervous system. Remember, plain pumpkin and sweet potatoes are beneficial for dogs, but be sure not to add any of the fixins’. dairy products have the tendency to cause diarrhea and other digestive issues in pets thanks to their lack of the enzyme, lactase which is the enzyme used by the body to break down lactose. Dairy products are not toxic to dogs but should be restricted or limited to reduce complications. 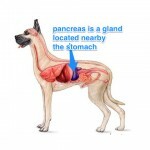 My dog has pancreatitis, what do I feed him? 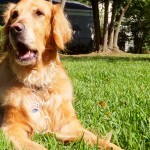 Healthy Dog Club exists for one purpose: to help dogs live more healthy. • want to advertise with us? All rights reserved. Healthy Dog Club 2012.